Do you have the chops to tell a compelling story for two hours that all takes place in one room? Sidney Lumet did. Wow! I love my blog readers. One of the reasons I’m so passionate about writing this blog are YOU guys. The amazing dialog I get to be a part of every week with passionate artists. Even when we don’t always agree on a topic, I love the fact that you all can bring it on with respect and passion. So much good stuff to percolate on. As I’m sure you no doubt already deduced, there is no right or wrong answer to the question. If I were to answer it, as it is framed, “Should young filmmakers study the masters,” with the word “should” in there, I have to say no. However, I don’t want to offer so much an answer to the question, but rather a plea to both sides of the camp. It can get easy for veterans in any field to become “grumpies” with respect to topics like this. You were infused with a love and respect for the greats for years, and it helped you build a foundation that has brought you where you are today. So when you see young whipper-snappers with their fancy HD DSLRs making “cool videos” and getting world-wide fame, but they can’t tell you who Richard Avedon or Sidney Lumet was, it can make your blood curl. But, to be fair, consider this: it’s not really their fault. The state of education today is totally different than it was when you studied the craft. I think I was part of the last generation of filmmakers that HAD to go to some kind of school to learn. And when you went to school, naturally you were taught about the history of film and the masters who paved the way. Sure, the internet was around, but you didn’t have the kind of content online like you do now. And if you wanted to watch a video, you had to be prepared to wait an hour or two as it downloaded or buffered on your 28.8k or 56k modem. Sometimes you’d have to wait all afternoon. (I would hazard to guess some young filmmakers today don’t even know what “dial-u” is). Now you have lightning fast internet connects, CreativeLive, YouTube, Vimeo, forums, literally thousands of videos for FREE at your fingertips. You don’t need a fortune to get equipment either. You can shoot high quality films on your iPhone now. So when you combine these two things—easy and free education with inexpensive equipment—the result is a generation of filmmakers and photographers who don’t know the masters, not necessarily because they don’t care or are lazy, but because they’ve never been in a situation where they needed to. Truth be told, I don’t doubt there is much we can learn as filmmakers from the younger generation. Wouldn’t you agree? It would behoove those of us that have that respect for the history of the craft, not to poo-poo this brave new world of filmmakers/photographers, but to come along side as mentors and show they why they may want to know the masters. 1959's "Some Like it Hot" by Billy Wilder made me laugh out loud and had some pretty racy topics. A new source of inspiration. If I may be frank, a lot of you guys do stuff that all looks alike. I’m sorry, not trying to playa hate, but I call ’em as I see ’em. And the reason it all starts to look alike is because you are all inspired by the same group of stars in the industry and taking their workshops. I commend the quest for knowledge. Now take that quest to a new direction. Imagine if we started to see a string of wedding films that were inspired by Woody Allen, or Billy Wilder. They’re not necessarily cool looking, but they pack an emotional or storytelling punch that is powerful and will stand the test of time. What if we saw more commercial productions inspired by artists like Aronofsky, Kieslowski, or some other guy whose name ends in the sound “ski”? In today’s competitive environment, you need to stand apart. The best way to do that may actually be creating work inspired by a different source. Tell a better story. When this topic comes up, I can’t help but think of the lament by Walter, the head of security in the movie “The Player” (played brilliantly by Fred Ward). In the opening shot he’s talking to a young writer about all these quick cuts that kids are doing nowadays. He longs for the good ol’ days when you had long, drawn out takes like the opening to Orson Wells “Touch of Evil” (the comic irony of that scene in “The Player” is that Walter and the writer are IN a long drawn out take on a crane shot. Speaking of long takes, you gotta listen to the Filmspotting episode where the hosts each list their top 5 long takes). Studying the works of the masters will give you a new sense of story. You’ll learn how to slow down, breathe, and let the viewer drink it in. You’ll also learn a great deal about character development and directing actors which, even if you do event or corporate work, will be beneficial to your craft. I frequently direct my interview subjects to get the “performance” I need, even when I’m shooting a documentary. You’ll be pleasantly surprised. There was a time when I couldn’t imagine any movie from the 50s or earlier being funny. I thought they’d all be like “Leave it to Beaver.” Corny, safe, and uninteresting. Then I saw Billy Wilder’s “Some Like it Hot” and I was surprised at how hard I laughed. And I was equally surprised at some of the relatively racy topics addressed in that film. 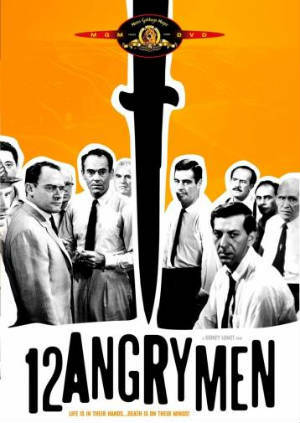 I was surprised and moved by the themes of racial prejudice addressed in movies like Norman Jewison’s “In the Heat of the Night” or Sidney Lumet’s “12 Angry Men.” (Speaking of Sidney Lumet, you do know he died April 9 of this year don’t you? The filmmaking world lost a legend, the director behind such masterpieces as “Dog Day Afternoon” and “Network.”) Spend some time watching these great works and I promise you, not only will you be genuinely entertained and/or moved, you will be inspired to be a better filmmaker. Now excuse me while I go add some Kurosawa and Kieslowski to my Netflix queue. I have to say, that was a great opening suspenseful seen. What about the long opening shot of “Boogie Night’s”. No pun intended. I still feel like there are still too many astounding reasons for young film makers to study works that preceded them. The lessons learned previous by all the film makers, successful and not, are available to the new film makers. I couldnt imagine trying to make work without looking at even other photographer’s work- Even the self taught artist must find the aspects they wish to teach themselves. Those aspects must be found other artists work. If it is the very formalized study of film/cinema in the academic sense, or the self taught indi-film maker wishing to emulate something that evoked an emotional response in them, and wanted to recreate that in their viewer, the study of past masters is not only essential…it is unavoidable for the artist that takes their work seriously. Thanks for your comments and passion. Love having your voice in the conversation. I like Mr. Travis Gray’s sports metaphor with the younger player watching the older players…well phrased and absolutely applicable. So I think that we’re both right. We’re right in the fact that you pointed out because there ARE great film makers, photographers and the new breed of imaging and cinema pioneers who havent had a lick of formal study; but, I also will never concede to the belief that the same influences that would have been applied to their new-age work through careful study and analysis, can’t still find their way into their current work through observation. The impassioned artist identifies and digests the material differently allowing these observations to be more useful to them, than say the average movie-goer. I like the “unavoidable” part. If someone’s really serious, it stems from a curiosity if anything, and not necessarily a need to force yourself to learn. If I see something I like, I’ll watch it multiple times to really study it, and then seek out other things like it to get different perspectives. But you can’t really watch something just to force yourself to learn. I used to work with someone who seemed to take filming very seriously, but was very formulaic in his style, and using quick cuts just because “that’s what’s being done”. His productions were disjointed and hard to watch. He never understood why he was doing it, just was doing it because that’s what he had seen. Occasionally you can see stuff that people have done that’s very good with very little formal training. And going on the sports metaphor, good players, in any sport, even if they are naturally skilled, still have grown up watching older players and studying their style. It just comes naturally because they love the sport and see a player they idolize and naturally start to learn from that.